Manual Mode is the most versatile and powerful mode for TextConverter. 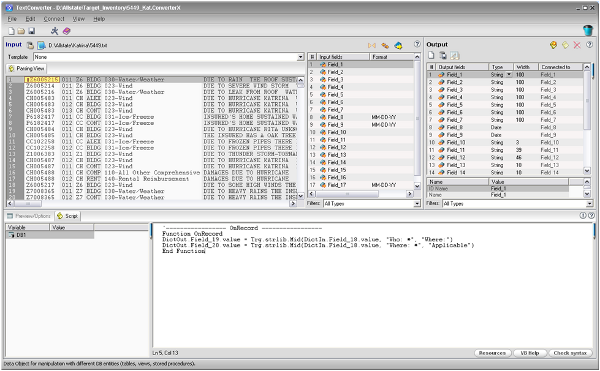 Manual mode sets up TextConverter to use VBScript script to extract data. 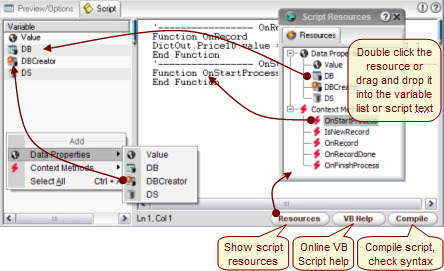 In addition to all of the functions and methods available in VBScript, The target platform provides a large library of powerful built-in objects designed specifically for data processing, data transformation, and data extraction. 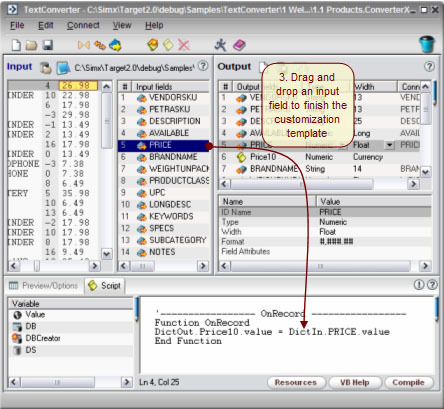 Below is a Screenshot of TextConverter in Manual mode showing the Scripting Tab center left instead of the default Preview/Options tab. 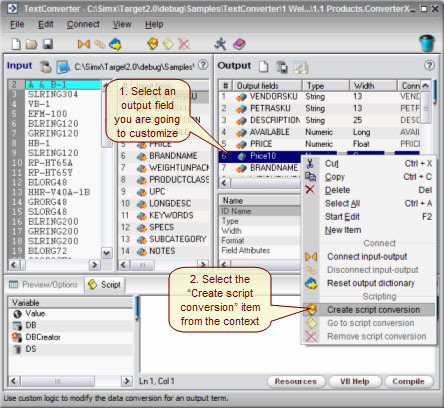 If you are familiar with scripting in TextConverter using VBScript and just need to get started with all of the powerful built in functions and methods, jump to the Developer's Reference section of the help site. To search the scrip being edited press CTRL+F and a search dialog will appear. To search and replace, press CTRL+H.